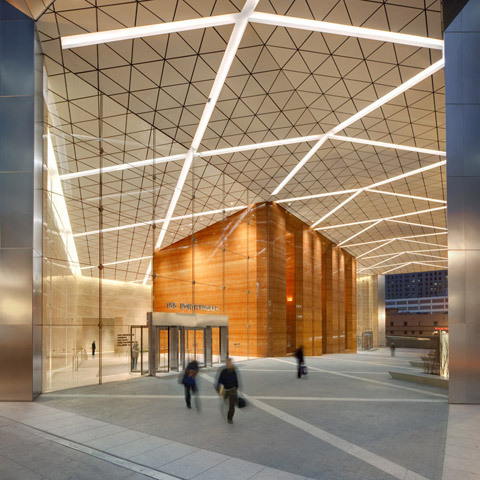 A holistic concept of a ceiling system hinges on construing the ceiling as an active element in building that efficiently heats and cools the interior, provides light, and also meets high acoustic standards. 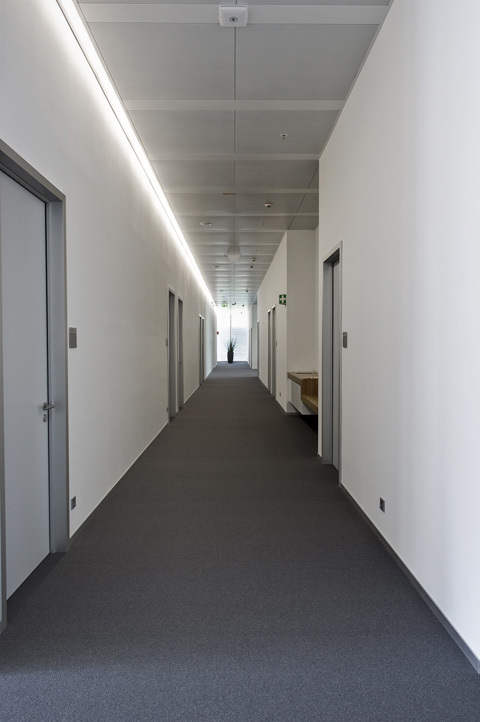 These technical requirements are all taken into account in the Linder group's metal ceiling systems. 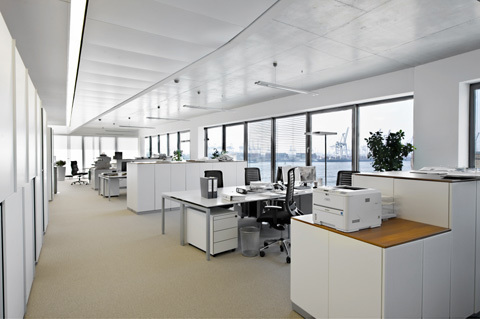 Rising temperatures lead to a sharp drop in people's performance. 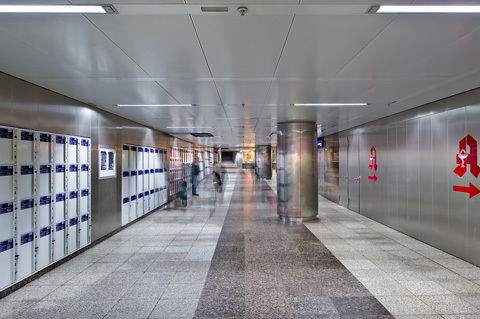 Lindner's "Plafotherm" heating and cooling systems keep the ambient temperature ideal and thus enhance wellbeing and boost performance. 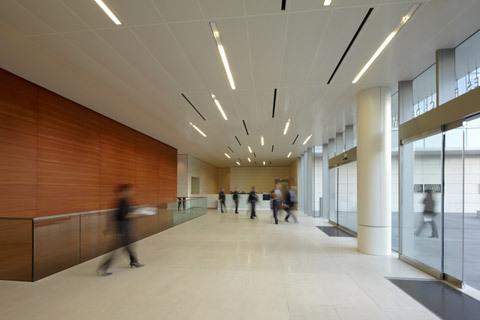 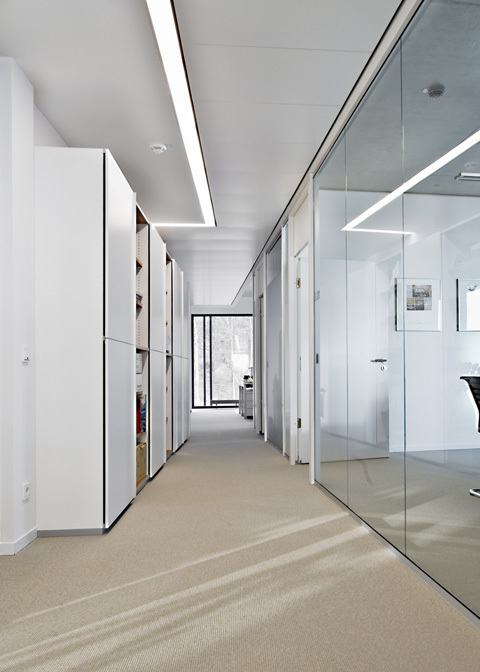 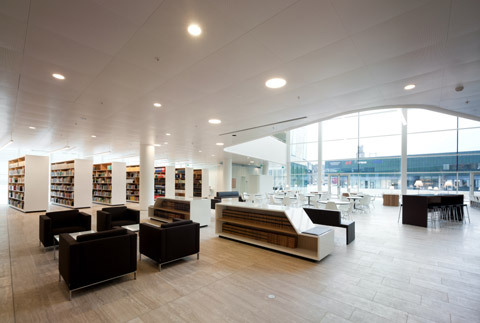 Thanks to frameless integrated luminaires delivered as part of the system, the entire ceiling is a flush surface with no additional seams, masking, covers or color discrepancies. 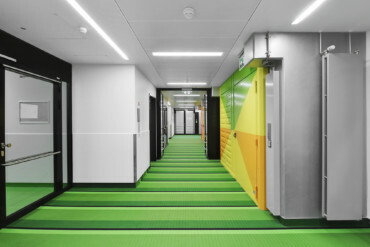 In this way, the pre-assembled elements reduce the number of interfaces and the labor required to assemble the ceiling. 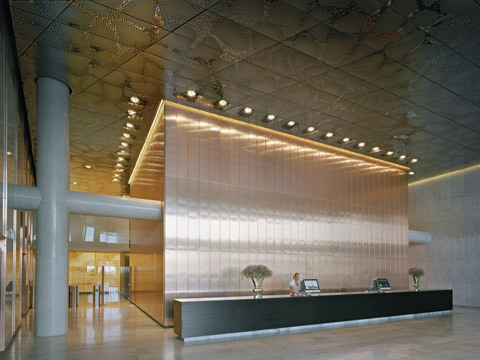 Moreover, the standard Lindner's metal ceiling system comes complete with building materials category A2-s1, d0 classification, and features an acoustic textile baffle and powder-coating on the reverse. 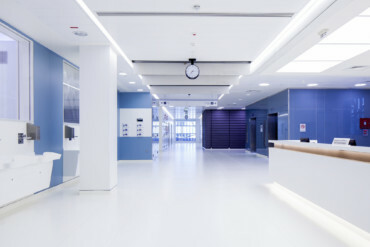 The elements of the metal ceiling likewise stand out for their certified high eco-friendliness as regards toxic emissions and the use of recycled materials. 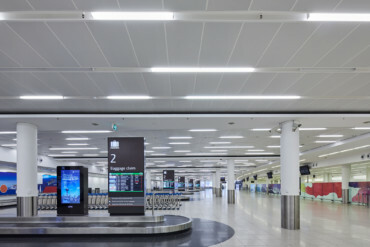 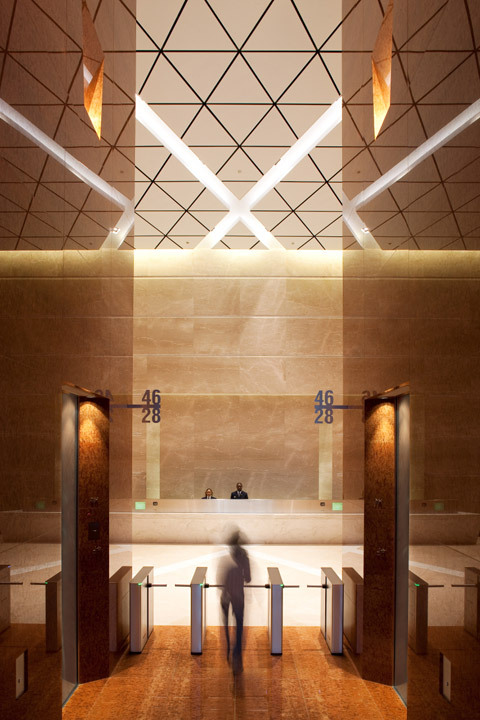 The range of metal ceilings means that there's the right visual appearance and function for every application. 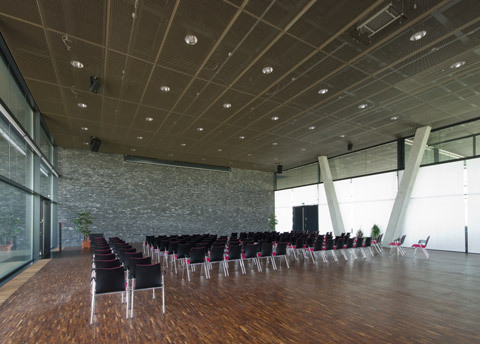 Their acoustic functions can be customized to user needs and, depending on requirements, enhance audibility while ensuring due discretion. 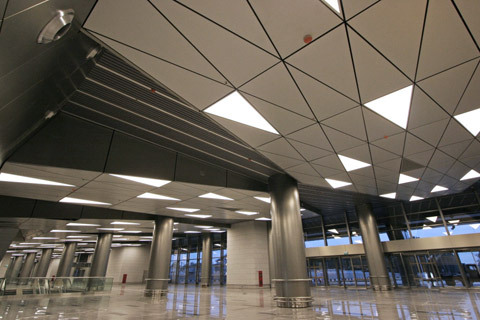 Moreover, new perforations, coatings and decors mean there are countless tasteful visual varieties for customers to choose from, be it perforation sizes or pattern, 3D effects thanks to special embossing, or print techniques that enable your ceiling to bear exactly the motif you want.